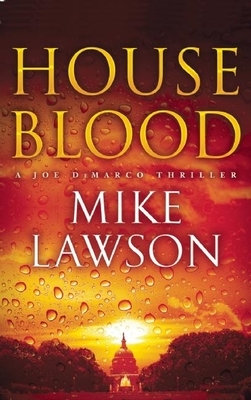 Mike Lawson’s newest novel House Blood was such a fabulous and intense read that fans are sure to be raving about it. Emma is still recovering from her battle with cancer but has decided to help Joe out on his latest case. After a terrible earthquake in Peru destroys countless villages, Mulray Pharma, a pharmaceutical company, steps in to help build houses and provide food for people who are need. But now some of the people who are living there are dying and people who were lobbying for them in Washington D.C are being murdered. Emma takes off to find out what is going on in Peru while Joe looks into the deaths in Washington. And of course things are never easy for these two as they are trying to stay one step ahead of the killers that are now targeting them. As always, I was amazed at the information that Lawson includes in his novels. His description of how congress can be controlled and influenced by lobbyists and their money on so many issues is amazing. The pharmaceutical information was just incredible. I had very limited knowledge of how they test new drugs and it was a little nerve racking to read about it in a murder mystery novel. Lawson creates such a realistic tale that I often found myself thinking, oh my goodness this could be happening right now. We have praised his books before and his series just keeps getting better. Lawson is one author who continues to be a staff pick. 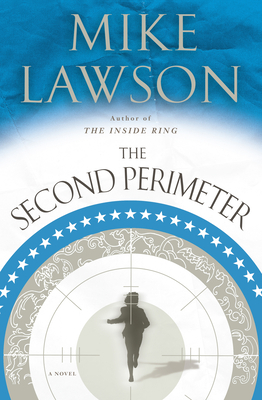 Second Perimeter is the second book featuring Joe DeMarco by Mike Lawson and what a riveting read. I was completely glued to the book. The Secretary of the Navy’s nephew believes he has uncovered coworkers committing fraud and wants his uncle to start an investigation. The Secretary is skeptical and decides to ask Joe’s boss to check things out before launching an official government investigation. Joe takes off to start his work and Emma decides to join him. Before long the two are knee deep in a much larger crime than fraud, and things are beginning to escalate when the criminals take a personal interest in Emma. This book is full of suspense and surprises creating an edge of your seat read. Lawson did such a great job of keeping me guessing all the way to the end. He incorporates all kinds of details making the story totally realistic. I found myself completely absorbed by the information on the Navy and national security, not to mention all of the intricate plot twists. If you need a new thriller novel, be sure to start the Joe DeMarco series. We are located in booth #129/#130, which is located at the end of the sidewalk by the University of Arizona bookstore in the Student Union. Be sure to stop down and meet the authors and get a book autographed. 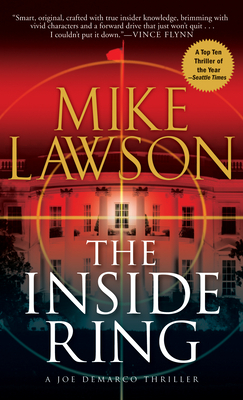 I had so much fun reading Mike Lawson’s thriller novel The Inside Ring. This is the first book featuring attorney Joe DeMarco and Emma, and what a great start to the series. DeMarco is out minding his own business when a strange woman jumps into the back of his car telling him he has ten seconds to drive away before the men kill them. Thus begins his odd relationship with Emma, the maybe government spy. DeMarco is never really sure who Emma is and what her job might be, but he knows she is always willing to help him in any way that she can; leaving the pair in a unique position of quietly helping each other out with their respective cases. In this first novel, DeMarco has to help uncover how the secret service may have been compromised. There has been an assassination attempt on the president and an anonymous insinuation that the secret service is involved. DeMarco is tasked to find out the truth without involving the FBI or the secret service. I loved how Lawson incorporates humor into his action novel. It never felt too serious even though the story-line was dealing with life-threatening situations. Lawson also did a great job of developing his characters and their relationships with each other. Emma and DeMarco are such an engaging pair to read, and I can’t wait to see how their relationship continues to develop through the series. Lawson has done such a fabulous job with his writing. It was easy to visualize Washington DC and all of the adventures that the two characters find themselves in. If you are looking for a new thriller novel or just want to try a new author, this would be a excellent choice. Mike Lawson will be attending the Tucson Festival of Books March 10th and 11th. He will be joining us in our booth (#129/#130) Saturday March 10th at 1:00 PM. Be sure to stop at the booth and pick-up an autographed copy of his latest novel House Divided.